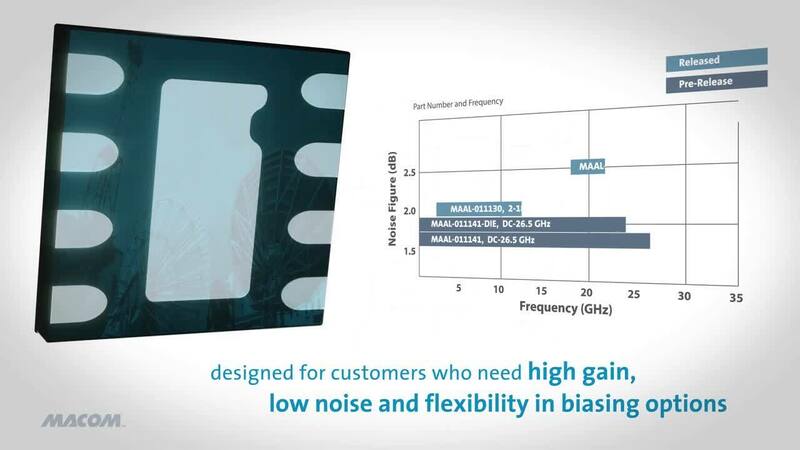 The MAAL-011130 is an easy-to-use, broadband, low noise amplifier with 19 dB typical gain from 2 to 18 GHz. The input and output are fully matched to 50 Ω with typical return loss >10 dB. Third order linearity (OIP3) is typically 23 dBm and reverse isolation is >35 dB. Single voltage (VDD from +3.3 V to +5 V) operation is achieved using an external resistor, RB, between pin 4 and VDD. The value of RB will set the drain current. Alternatively, the application of a bias voltage (VB) to pin 4 allows for the adjustment of drain current from 5 mA to 80 mA and provides power down capability, achieved by applying VB <0.2 V. See biasing information on pages 3 and 4. The MAAL-011130 is housed in a lead-free 2 mm 8–lead PDFN package compatible with standard pick and place assembly equipment. 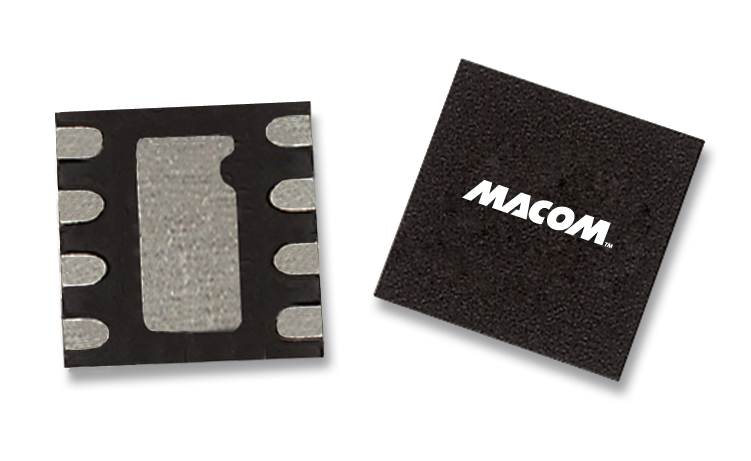 The MAAL-011130 is well suited to multiple applications such as X-Band satellite communication receivers and wideband A&D systems.